Asheville and WNC Community Appreciation Contest! 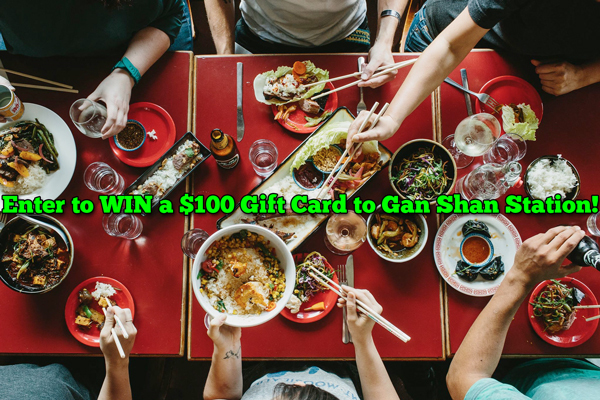 Enter to WIN a $100 gift card to Gàn ShÄn Station! We are excited to announce we are having our first ever Community Appreciation Contest! Some of you probably already have some T&M swag (koozies, pint glasses, cups, bottle openers, key chains, etc.) from attending one of our parties or events. If you don’t, this is your chance to come check out our newly renovated office at 261 Asheland Ave. Suite 103 (on the South Slope) to pick some up for free! We challenge #Asheville & #WNC to get creative by posting a photo with our locally made (thanks Image 420 Screen Printing) Town and Mountain Realty swag! It doesn’t have to be swag – pose with ANYTHING that has a Town and Mountain Realty logo! Some ideas include: yard signs, print ads, t-shirts, hats, billboards, or even a Town and Mountain Realty agent (make sure to get the agent’s business card in the photo if you can)! GET CREATIVE!! Cool new restaurant in town? Pose with our swag and your lunch! New beer released? Snap a photo of the brew in a T&M koozie! Cool street art downtown? Get that in your swag shot! The possibilities are endless. MOST CREATIVE WINS! The Winner will be announced MAY 12th, 2017!